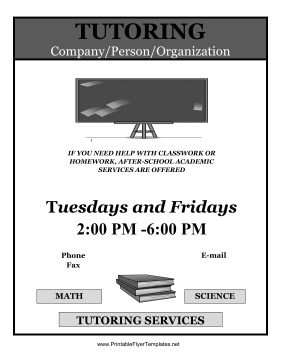 This black and white tutoring flyer is ideal for both independent tutors and tutoring groups. A blackboard and books are featured on the flyer. You can list the subjects, times, and contact information for your services.